Online parent community Project Nursery has teamed up with Voxx Accessories to create a wearable that aims to make life easier for new parents. The Parent + Baby SmartBand might look like just another fitness tracker, but it promises to keep tabs on baby and parent health during those critical early months. The splash and sweat-resistant device (what about baby puke?) 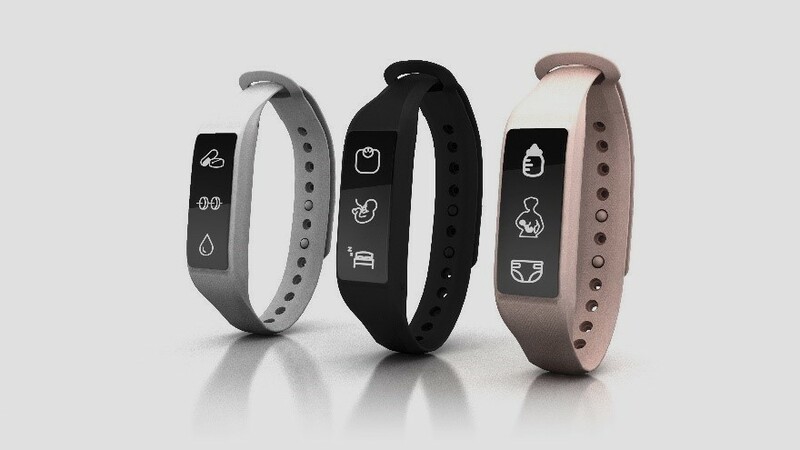 features a touchscreen display and a wristband that's available in pink, white and black shades. It also packs an impressive 30-day battery life, which means you'll be charging it a lot less than most fitness trackers. As far as specific features that new mothers will appreciate, you can log important events such as breastfeeding and bottle feeding, pumping, pre- and post-natal vitamins, medications, diaper changes, foetal movements, child weight, and naps. It'll also track parents' hydration weight, diet exercise and sleep while doubling as an activity tracker to record steps, distance, calories burned and activity time. Compatible with iOS and Android devices, the SmartBand can serve up smartwatch-style notifications including caller ID, texts and app notifications. There's also customisable reminders and alarm functions to keep parents motivated and send messages of encouragement. The Parent + Baby SmartBand will go on sale from February 2017 and will cost $149.99, which means it costs the same as a regular tracker like the Fitbit Charge 2. Do you like the idea of this kind of wearable? Let us know your thoughts in the comments below.